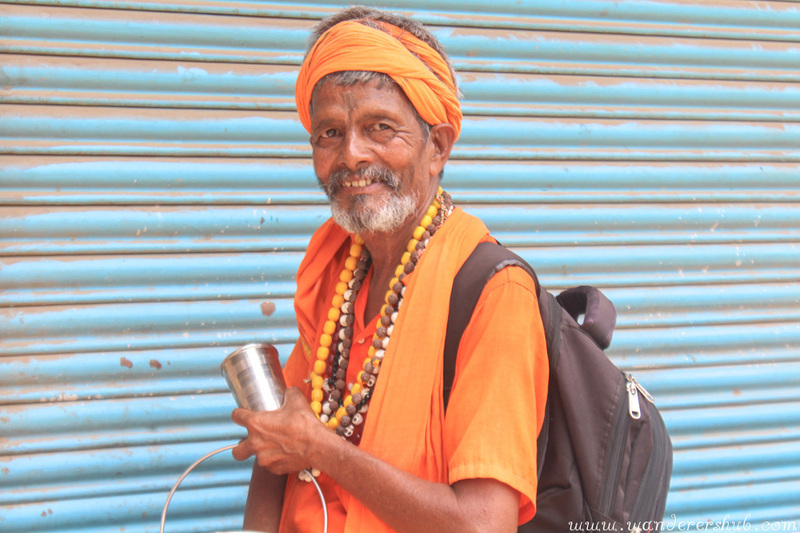 Chaotic, colorful, and captivating – three words that would rightly sum up life in Varanasi. Varanasi has changed drastically over the years. But there are still parts of the city where the juxtaposition of old meets new is palpable. 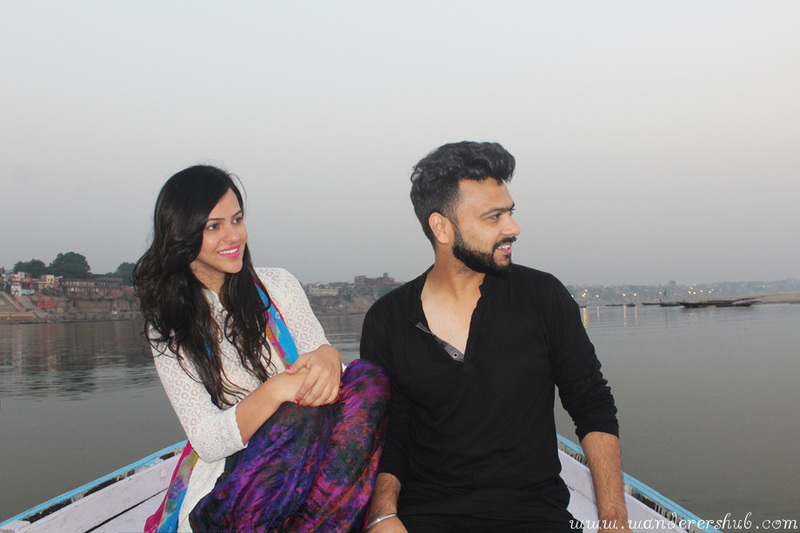 On our recent visit to the Holy city of ‘Varanasi’, also known as Kashi and Banaras, we were able to find out why this famed city is on every traveler’s bucket list and how it has that capacity to seduce the most skeptical of minds. There is so much to see and so many Varanasi India Points of Interest. Let’s talk about the overall city analysis before we go ahead with the itinerary plans and things to do in Varanasi. Yes, this city deserves all the limelight! Read our 3 days Varanasi Itinerary? Packing for conservative countries? Make sure you check out our lookbook for a better idea about what to pack! Planning a road trip to Varanasi? Click here to read our Delhi to Varanasi Road Trip details. 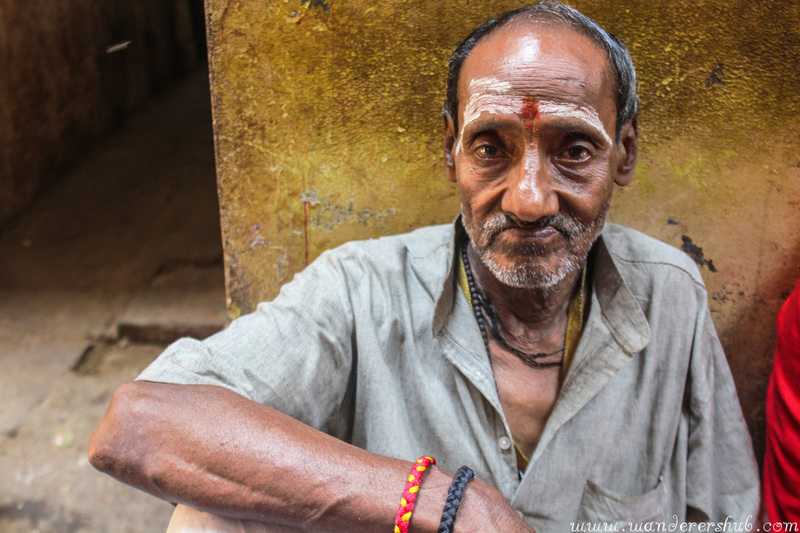 What we came across in Varanasi was more than just people, more than just faces willing to be seen, voices waiting to be heard, stories begging to be read. Every person in Varanasi had an aura about them- from the busy bees to those just spending time in solitude, overlooking the ghats. There were various Varanasi India Points of Interest. 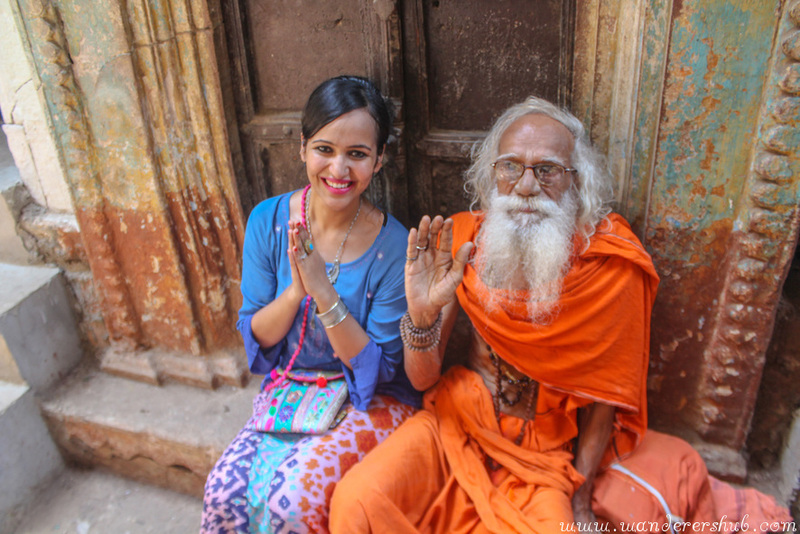 What struck us the most about people in Varanasi was not the diversity of their experiences – their city has sure been through its fair share – in the holy city, but the ways in which they added their own flavor to their tales. Unsurprisingly, we still met a myriad of the warmest smiles and welcoming embraces we’d ever come across – a wanderer’s luxury! Our project of delving into the stories people had to tell was rewarding beyond our expectations. As we heard from them, we couldn’t help but notice how every tiny detail – the wrinkles in their faces, the youth in their smile, the sun shining warmly on their faces, their tired eyes – came to us unfiltered, raw. And yet it came with a hope to make the most of their journey. It was truly rewarding, not just for the experience, but for the glimpse of what it truly meant to be human that it gave us. The juncture at which civilization meets nature is a seamless blend of all things man made, yet so naturalized into landscapes that you can almost miss it! The ghats at Varanasi are a perfect example of this. 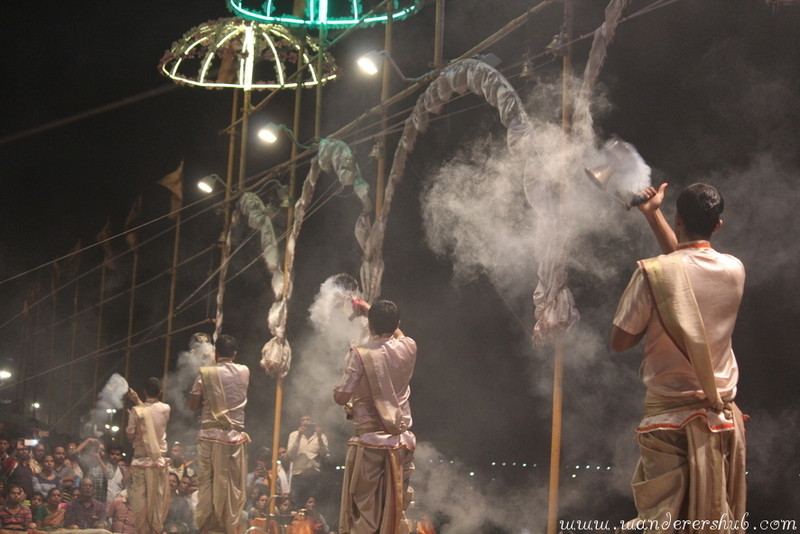 Must feature on your Varanasi India Points of Interest. Lit up and animated during the evening pooja, the ghats nevertheless retain a steady inflow of vivacious worshippers during the day. 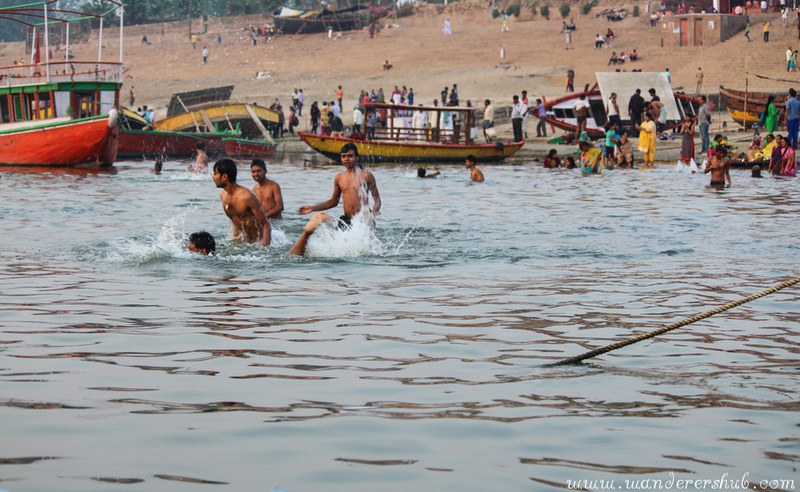 These pilgrim throng the ghats to take a dip and rid themselves of their bad deeds. 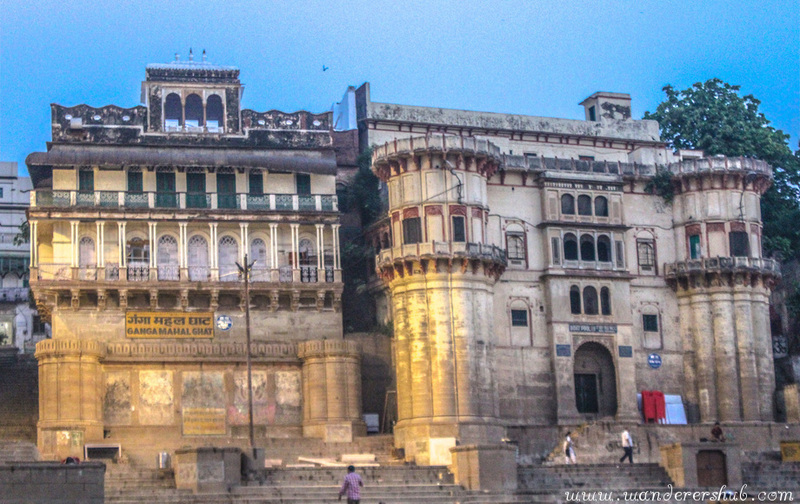 The ghats in Varanasi have a unique character to themselves. There’s something tranquil about the way the sun rises anywhere in the world. It’s the first ray of the sun that bestows life upon all that was hitherto languishing in darkness. 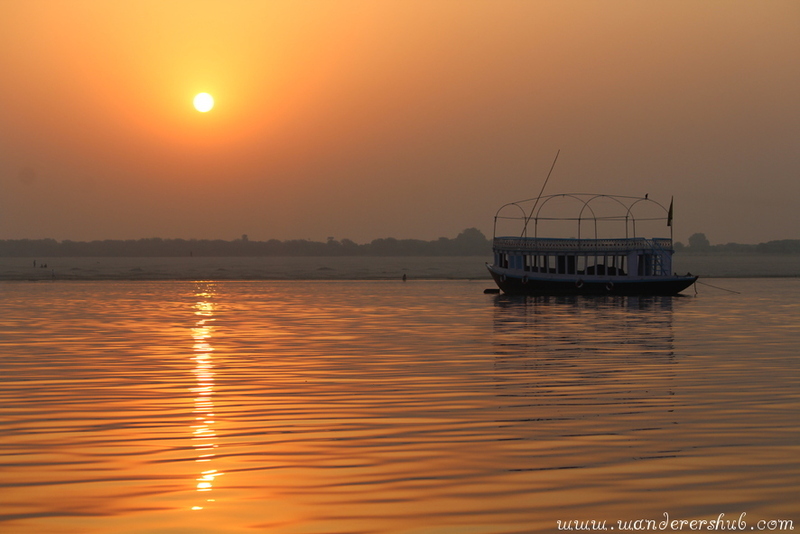 And that is exactly the feeling you get if you witness the sun rise in Varanasi. The rising sun, viewed in Varanasi, is an ephemeral ecstasy that only a few live to see. The rays of the sun carry so much life to the square inch, it made us privy to a well-kept secret of the universe – that we are insignificant before the magnificence of nature! A much-preferred choice to view the marvel would be from the ghats, overlooking an idyllic horizon. The sun is a burning orange, and one cannot help but feel overpowered by the sensation of life it dispels. Along with the rising sun, you’re sure to hear temples across the town ringing their bells and waking up the town with their chanting. We also vlogged our early morning sunrise rendezvous in Varanasi. Check out the video. 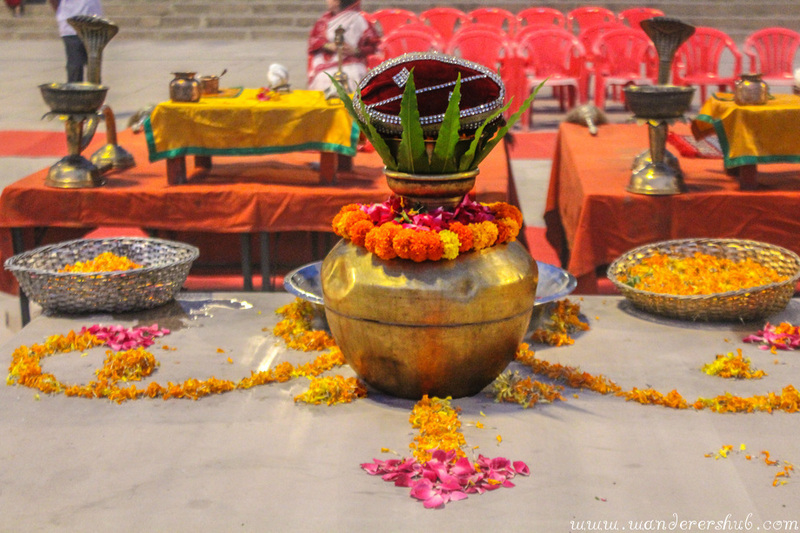 The morning and evening pooja at Varanasi flows from an unshakeable faith in the divinity, and the euphoria replicated every day is proof of the imperishable essence of the daily prayer. The flames radiating an almost-white iridescence here are considered the highest symbol of purity in Hinduism. It is only fit to be offered to the Hindu gods. A languid walk through the serpentine alleys of Varanasi would introduce you to colorful and scintillating market scenes with major emphasis laid over the food. 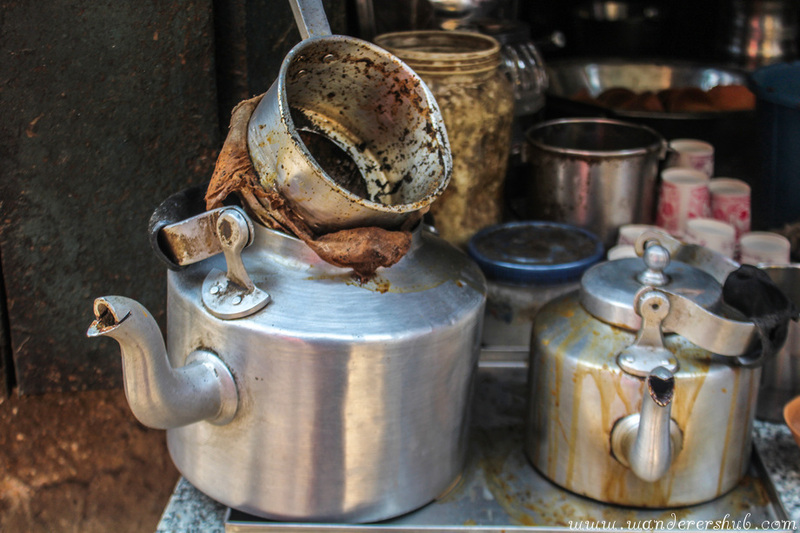 Start your day with a morning cup of chai at the ‘Kashi Cafe’. 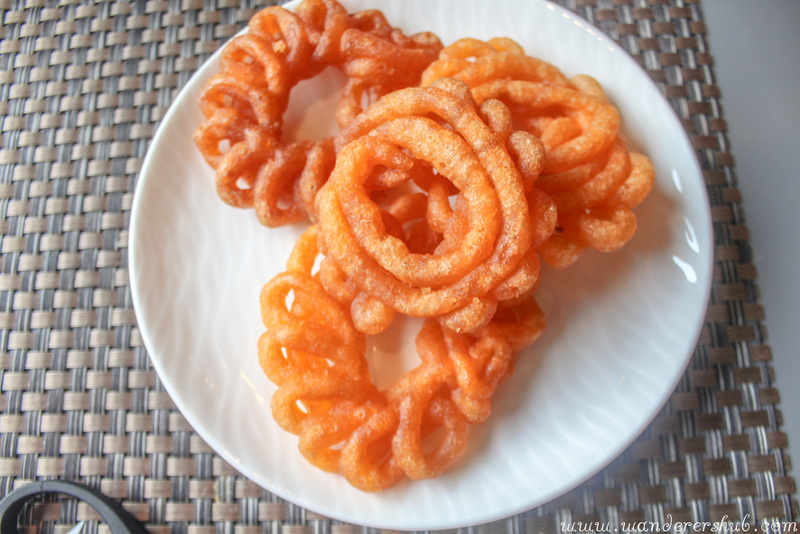 Make your way through the chaotic lanes that take you to popular eateries and thandai shops. 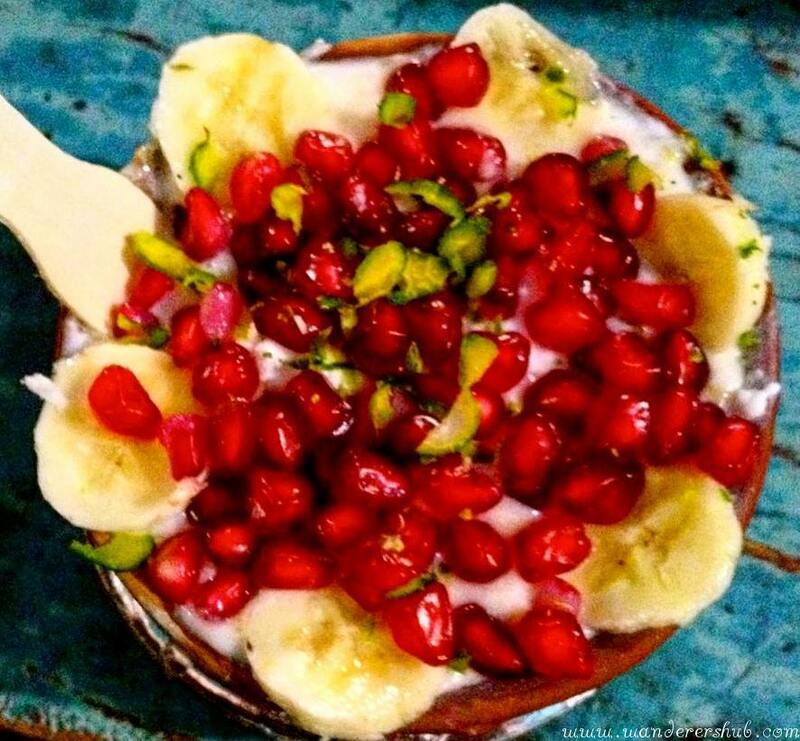 You got to drink Pomegranate lassi at the ‘Blue LassiWala’. 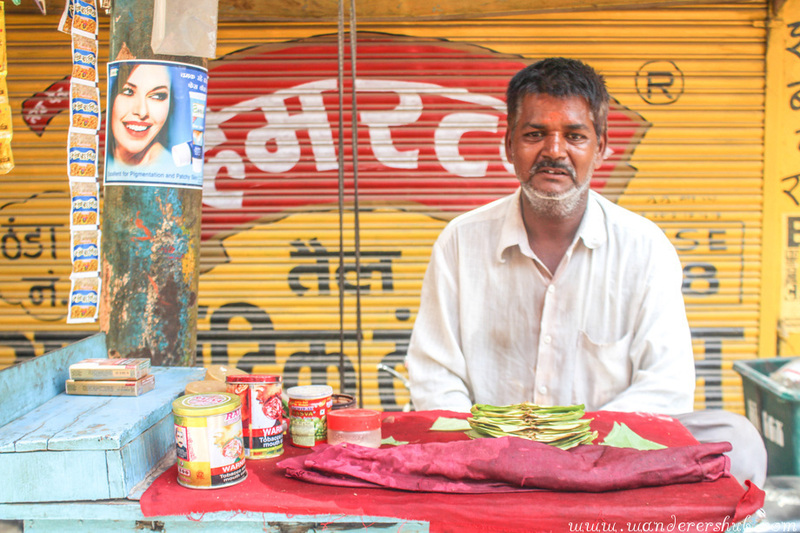 Make sure you save place for dessert – Banarasi Paan – this has it’s own mass following. A food tour is all you need to experience to get a taste of life in Varanasi. Beautiful pictures and nice write up. 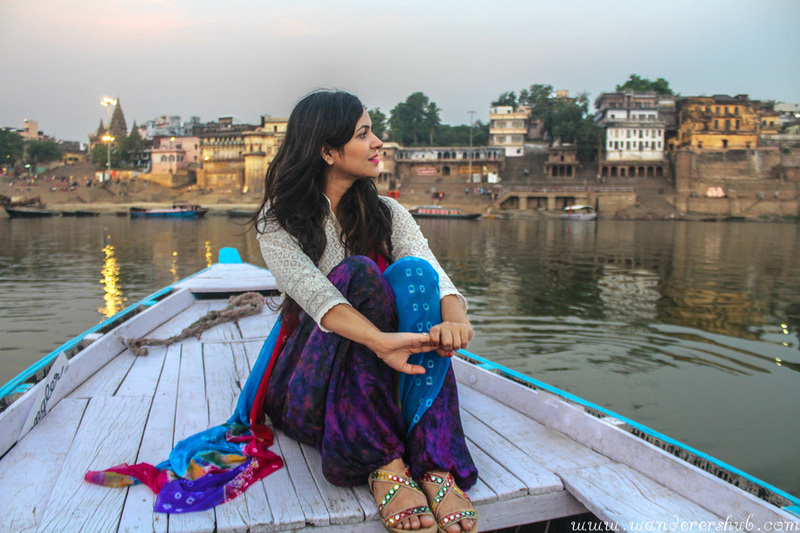 I have been visiting Varanasi since my childhood, and every time I have a new experience. You forgot to mention famous thandai that is served there. Thank You for bringing Varanasi so closer.It has been a long time since I last visited Varanasi..
As old as time itself….Varanasi is still so vibrant and touching. A true experience of India. A magnet to the religious as well as the curious. You have captured it’s essence just right. We were there just last week and after reading your post, we suddenly want to go back there. Love the narrow lanes and the way people negotiate the narrow turns. Nice pics, the sunrise ones seem awesome. Their cuisine looks delicious! I love to try different types of food from over the world. This here is something that I have never seen before, but I’m sure it was really nice. I’m just wondering do they have some typical coffee or tea maybe? Thanks for the food tips! I’m going in August and hope I’d be able to drag myself out of bed to enjoy these sunrises! 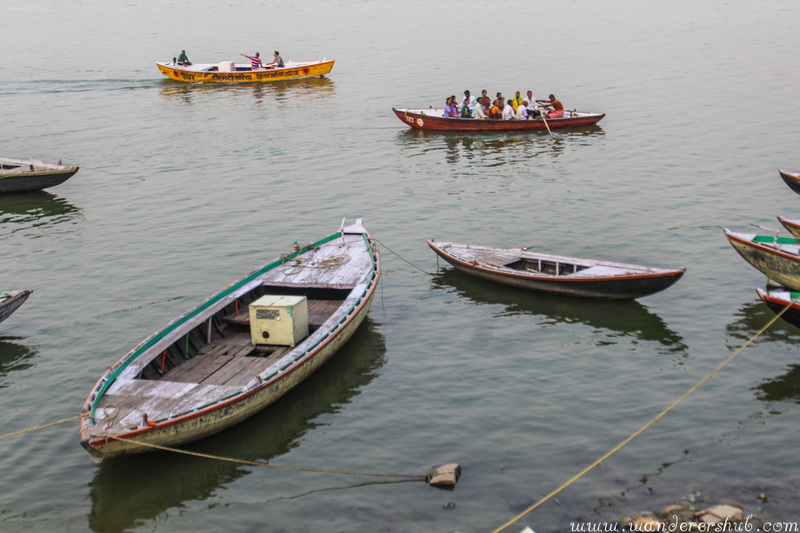 Varanasi looks like such a charming place and you did such a great write up. Also the photos you took really brought the post alive. Varanasi is indeed an enigmatic city. The spirit of the city is such that it has you enthralled every minute that you spend there. Right from the chai in a kullad to the Ganga aarti on the banks of the Ganga, Varanasi is a mosaic of intricate experiences. 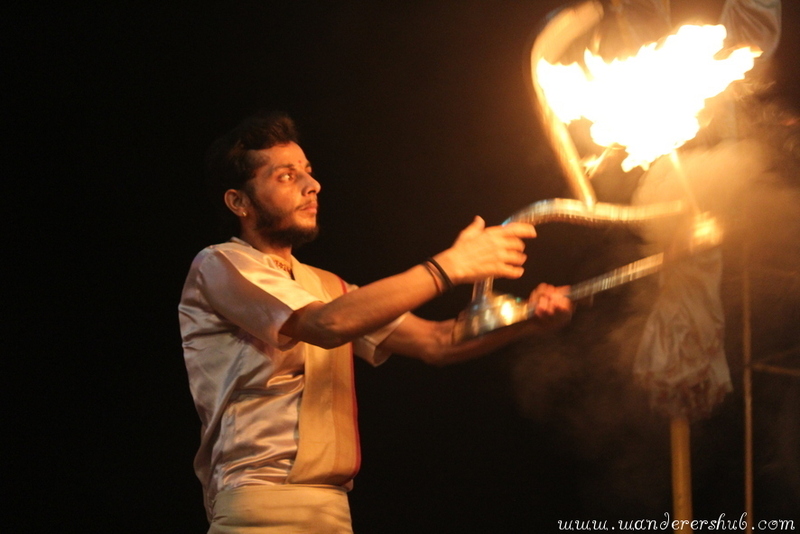 Varanasi seems like a perfect cultural and traditional discovery. I have been wanting to visit it for a while and maybe one of these days I will do so too. Possibly around Dev Diwali. Loved your pictures here.